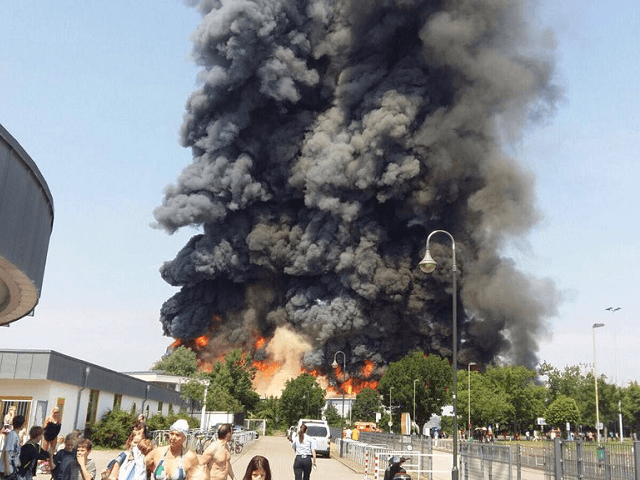 A massive fire at Düsseldorf’s major international trade fair grounds yesterday has been followed by reports that the blaze was set deliberately by migrants who were angry because of Ramadan. Officially, some 160 migrants were resident at hall 18 of the Messe Düsseldorf conference centre, but it was a facility plagued by racial conflict which had seen violence spark before. Düsseldorf’s Express newspaper reports these conflicts were not between European German staff and their guests, but between the predominantly Arab residents, and a minority of Afghans who sided with the security staff running the facility — who were mainly Iranian. According to the testimony of “several burly Moroccan refugees” which the paper had spoken to even as the hall burnt down, the Iranians employed by the German state to look after other migrants from around the world had “deliberately” not woken the Arabs up in time for their Ramadan breakfast following a long run dispute. Just three weeks ago there had been another, much smaller fire at the exhibition centre as a migrant set fire to his mattress in protest against the accommodation. Under Islamic tradition, during the ninth month of the Islamic calendar the faithful enter a fast between sunrise and sunset in commemoration of Muhammed. In practice this means sleeping-in leaves the Muslim without food until sunset around half-past-nine at night. The migrants who witnessed the fire being set, some of which even proudly recorded the moment on their mobile phones said the blaze was started “because we just want to get out of here”, away from their Iranian guards. 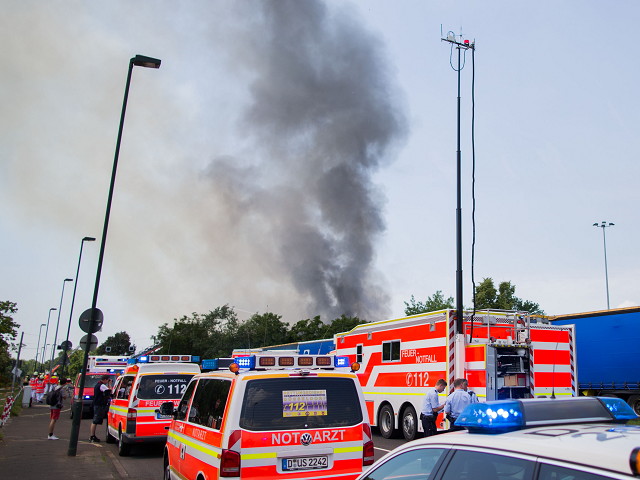 Breitbart London reported on the fire as it happened yesterday, with reports of as many as 280 migrants being evacuated from the site, which lies directly next to Düsseldorf’s international airport. 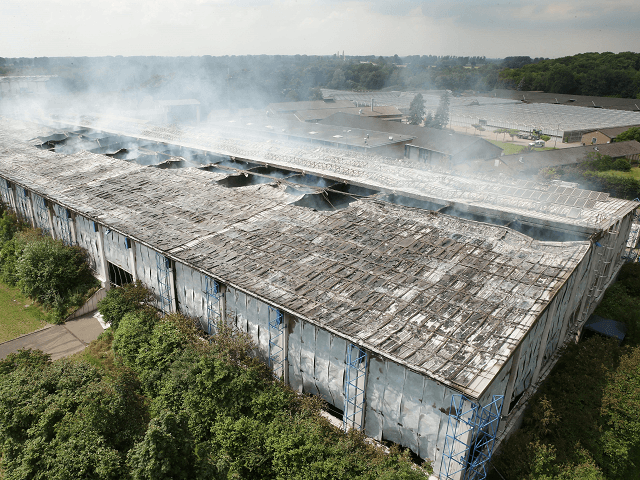 Approximately 30 migrants were treated for smoke inhalation, and one of the 70 fire-fighters who turned out to tackle the arson blaze was hospitalised due to heat exhaustion. There were initially two arrests of migrants that were found at the scene boasting about setting the fire, but this number later rose to six. 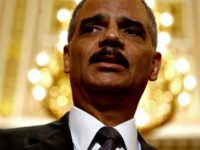 The men arrested are reported to have been citizens of Morocco, Algeria, Syria and Iraq. While migrants are commonly employed as security, staff, and translators in migrant camps across Germany, a move which helps the authorities with breaking down language barriers with their hundreds of thousands of guests, it brings a whole set of problems. As migrants import sectarian and racial conflict, placing one group of migrants in a position of power and authority over others has led to widespread abuses and violence. Breitbart London has reported on the problem of migrant guards, who often lack basic qualifications and any sort of oversight by government agencies as they are employed and run by private contractors. One under-addressed expression of this problem is the attacks and discrimination against Christian refugees by Turkish heritage and Arab migrant guards. Severe beatings are the order of the day for many Christian migrants in the care of the German state, who have given uniforms and authority to the exact people they fled the Middle East from in the first place. The hospital report of one Christian who was beaten near to death by “Turkish and Arab descent” guards read: “Skull contusion, monocular hematoma right stump chest trauma, blunt abdominal trauma history. “Patient was today beaten by four security people since a massive headache and pain in the abdomen patient was brought to the A&E”. Another Christian said: “[the guards] accused me of insulting Islam, beat me to the ground, and kicked me in the face”. A German priest witnessed security guards who caught two Iranians reading the bible in their migrant accommodation. He recalled: “The guards ran into the room shouting ‘the Bible is haram!’, pushed them both against the wall, while punching and kicking them”. The priest lamented of the situation: “My impression is that now anyone who has a particular muscle circumference and speaks Arabic, will be hired”.